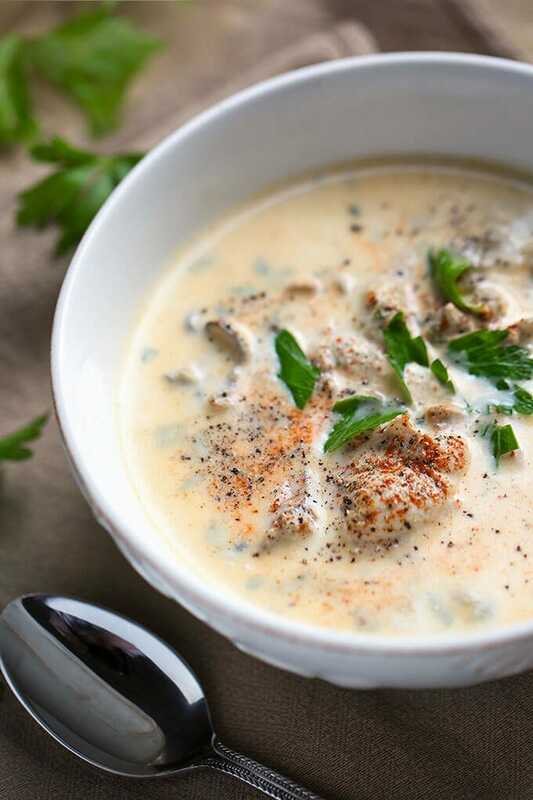 Pacific Oysters star in this rich and buttery Pacific Oyster Stew. Whenever we go on a trip down the coast of Washington, I have to stop for oysters. I love pulling up to the oyster beds, with the huge piles of oyster shells dotting the land. There are a smattering of small seafood shops in the area, and most of them sell fresh oysters. You can buy them and shuck them yourself, or get them shucked, as I prefer. I’m not a coordinated shucker. I’ll leave it to the pros! I always make a batch of Pacific Oyster Stew with those beauties. Paul isn’t as enamored with oysters as I am, but he’ll have a small bowl if that’s what I make for dinner. He really likes them deep fried! You can use fresh, canned, or jarred oysters. 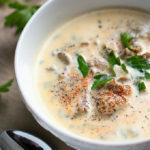 Pacific Oyster Stew is rich and buttery. A simple and delicious way to enjoy oysters. In one pot: Heat oysters in their liquor with 1/2 tsp salt until they plump. Don't boil. In the second Pot: Heat milk until just scalded, stirring occasionally. Remove oysters using a slotted spoon, and add to the scalded milk. Once all of the oysters are removed, carefully pour the liquor into the milk, stopping just before the end so as not to get any sand or shell debris that may have collected on the bottom of the pot. Add the butter and seasonings. Stirring occasionally, heat just to boiling point and remove from heat. Adjust seasonings, add more salt & pepper to taste. Garnish with a pat of butter, and your choice of chives, parsley, and cracked black pepper. Canned or jarred oysters may be used.